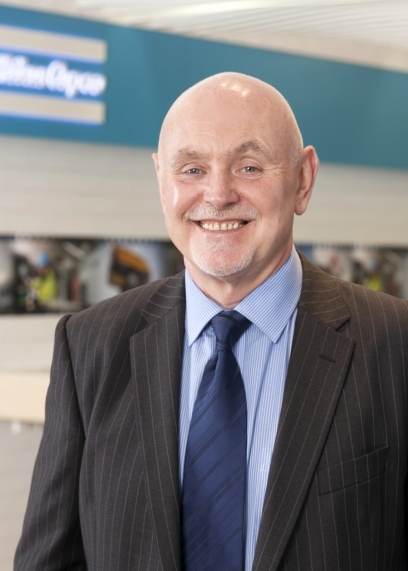 Keith Barron from Atlas Copco Compressors looks at why plant managers should give priority to pressure and flow when specifying compressed air systems in order to optimise performance and energy consumption within their manufacturing plants. It’s now widely accepted that compressed air accounts for on average 12 per cent of industrial electrical power consumption. In exceptional circumstances, it can even represent 30 per cent of a company’s energy consumption and therefore compressed air should arguably be seen as the UK’s ‘fourth utility’ along with electricity, water and gas. 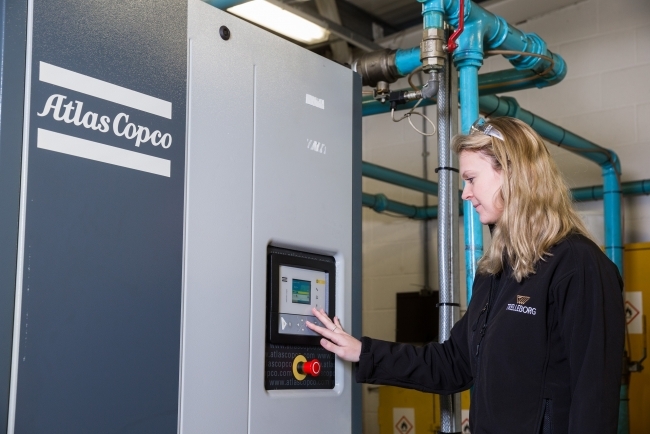 Furthermore, energy expenditure is the dominant factor in a compressed air installation’s overall cost, often representing up to 80 per cent of a compressor’s lifecycle operating budget. So, it follows that when specifying equipment for plant air process applications every care should be taken to ensure the system’s performance and output is closely matched to the application need. However, this precautionary approach has not always been adopted by purchasers of new installations or replacement equipment; or for that matter by some sources of supply. The reason derives from past practises. In less energy-conscious times, air compressors were regarded as something of an ‘easy-fix’ when setting up an industrial plant. This meant that not all installers attempted to match equipment specification and performance with any degree of precision to plant air applications. As a result, it was not an uncommon practice for suppliers to over-specify air compressors’ power and output ratings without challenge or regard to outcome. The legacy of that era remains in many areas of industry, whereby the common benchmark for equipment performance comparison, especially in like-for-like replacement purchase scenarios, is restricted solely to the kW power rating of the installed motor drive. This figure is still deemed by some to provide sufficient information, as opposed to calculating the actual pressure and flow required to optimise productivity and energy-efficiency. The compressed air equipment in an installation determines the requisite working pressure of the system. This does not just depend on the air compressor, but also on the design of the compressed air system and all of its pipework, valves, dryers, receivers, and filters. At the same time, the nominal air requirement for an application should be determined by calculating the air consumption for all the tools, machines and processes that will be connected. In addition, it should include an estimate of their individual utilisation factors. What must also be taken into consideration at the outset are additions for leakage, wear, and future changes in the compressed air requirement, which, experience shows, should be based on a probability factor that is close to 60 per cent. The laws of physics state that an increase in pressure creates a decrease in flow. This correlation is important to bear in mind when suppliers seek to determine the required size of an air compressor based on its rated motor power. For example, a basic 7 bar air compressor, driven by a 15 kW motor, will deliver compressed air at a maximum volume of approximately 45 l/s. However, the free air delivery from a 10 bar version will deliver only 37 l/s from the same power unit. Therefore, an increase in working pressure by 1 bar increases the power requirement by approximately 6 per cent. For this reason, energy conscious manufacturers of stationary oil-injected air compressors should seek to offer potential customers a number of pressure/flow variants in each kW category, and encourage installers to adopt the mantra: pressure + flow = energy = cost. Atlas Copco, for example, offers four options in each kW category across its entire range of rotary screw compressors. In the 11 kW range alone that can represent a 30 per cent differential in flow rate and over 32 per cent difference in unit costs. To illustrate this further, a 26 kW model is available that is unique to the marketplace as all other offerings in this power sector are limited to a choice of 22 and 30 kW machines. When it comes to replacing existing equipment, most companies would agree that to get the best return from their capital investment it pays to carry out due diligence. One way to ensure a new compressed air system will be optimised, and provide the efficiency improvements that are promised, is by conducting an energy audit. This should be done both prior to replacement and at regular intervals after new equipment has been installed. Applying simple and non-intrusive air audit data logging techniques to compressed air systems provides a true indication of an installation’s air use. Ultimately, it will flag up any wastage factors such as leakage and pressure drops. Most importantly, an audit establishes how well a compressed air system is actually performing and will highlight opportunities to increase production uptime, reduce maintenance and improve operating costs. Monitoring techniques for compressor systems have been applied to countless diverse applications throughout industry and as a result of implementing these energy-efficient measures, it is not uncommon for operating cost savings of as much as 40 per cent to be realised. Modern compressed air equipment, when correctly matched in terms of pressure and flow to process demands, can offer the benefits of reduced specific energy requirements (SER), improved productivity, and lower lifecycle costs. 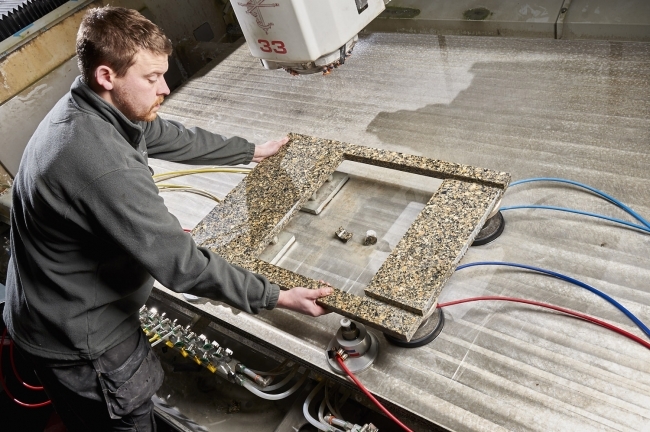 Their enhanced performance may actually allow a lower kW rated machine to be specified at a correspondingly smaller purchase price and reduced running costs in comparison to higher rated equipment. In recent years, a number of new oil-lubricated rotary screw compressors have been introduced that offer significantly increased performance across these areas. To take full advantage of what these advanced machines can offer, it pays to apply a few essential rules when deciding on a new compressor: Assess present and future needs by first checking out the existing system with a thorough air audit. Take account of all variables from air end output right through to point of use. Do not rely solely on stated motor power rating to match the compressor performance to the process air demand. Start with the pressure and flow requirement and then find the best fit in terms of drive motor power. Always keep in mind: pressure + flow = energy = cost.